We started in 1993 with a mission to raise the standard of guiding in Africa. 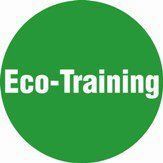 EcoTraining is the oldest field guide training company in Africa. For more than a decade, we have been sending people of all ages into the African wilderness to learn about the environment in exciting, in-depth and sensitive ways and to find out what it really takes to become a game ranger or a field guide.